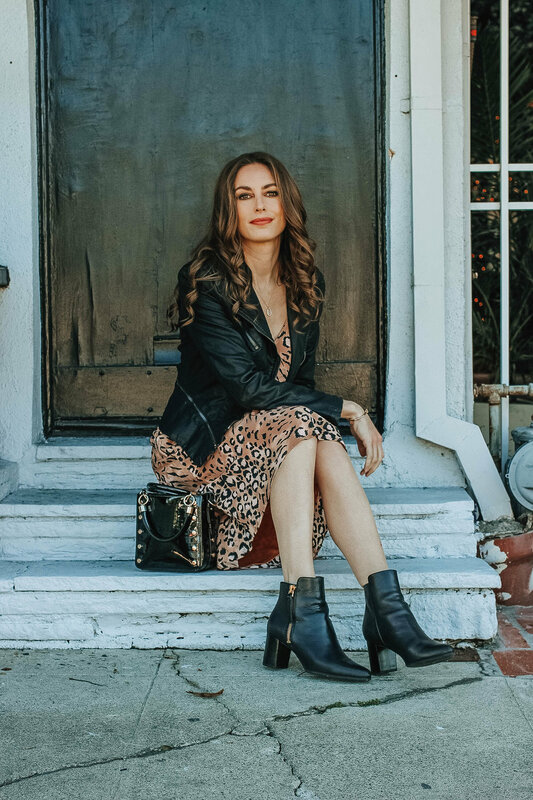 This peachy zebra and leopard print dress from Nordstrom is a perfect example. It makes a statement without screaming at you. I love it paired with a leather jacket for some added edge and it would also be cute with a denim coat for spring. This animal-print purchase was one of my firsts, but I have a feeling it won't be my last. Every spring, as the ground begins to thaw out, I get very excited to switch up my wardrobe. As I get older, however, I've started buying less into the trends and more into staple styles. That being said, you can definitely still have a lot of fun putting together a classic look. 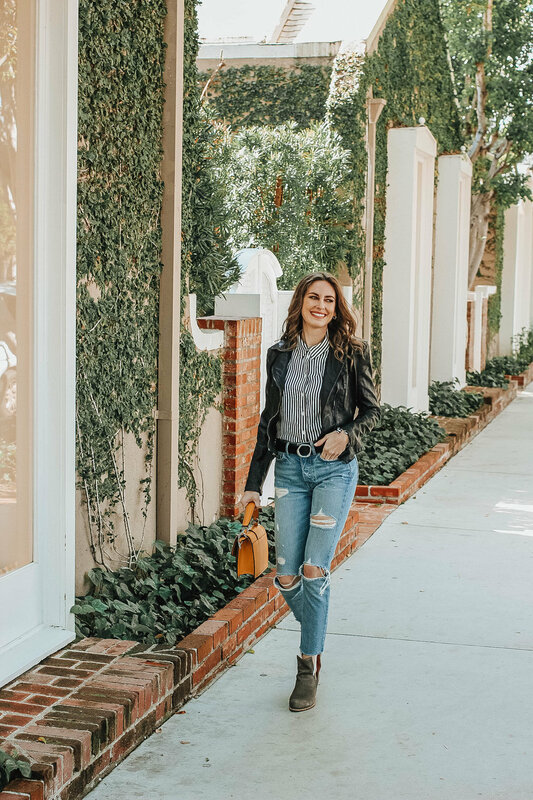 So whether it's a fresh new pair of skinnies, a comfy button down, or an all-season leather jacket, today I'm sharing some of my favorites to wear this year—and beyond! The best alternative to skinnies right now? Slip skirts. Not only are they insanely versatile, but they are also perfectly on-trend for spring. It seems like everywhere I look at the moment, another fashion girl is rocking one, and I'm definitely here for it. Something about the shimmery fabric can give even your most basic tee a chic bit of polish. It's definitely a piece you need to add to your spring wardrobe. Usually on the pricier side, this beauty from Morning Lavender is both affordable and flattering. Perfectly femme with a flared hem and blush shade, it's definitely going to be a staple in my spring closet. 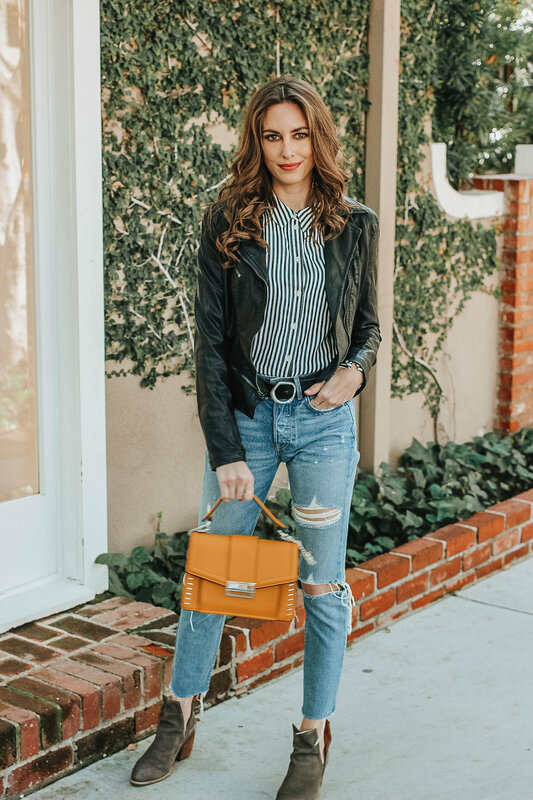 I paired it for a lunch date with a cropped striped tee to keep my look casual, but it would also be perfect with a lace tank for a more dressed up look. If you're a fan of airy fabrics and softer feminine styles, you need to check out Morning Lavender. It's one of my favorites!